We provide a safe, fun, age-appropriate environment for children (from birth to 10 years of age) during the morning worship service. It is our desire to partner with you in discipling your children throughout the week by using curriculum that can facilitate discussions at home between Sundays. In Little Metro, children learn the big picture of God’s redemptive story and his never-ending and never-giving-up love for them in Jesus. Your kids will play, sing songs, eat a snack, create crafts, and have a blast! The safety of our little ones is our top concern. Every volunteer that serves in Little Metro is background-checked and individually approved by LM Leadership. We also have high-definition security cameras in every room that clearly record all activities to ensure your child's safety. Our primary goal in Little Metro is to make disciples. 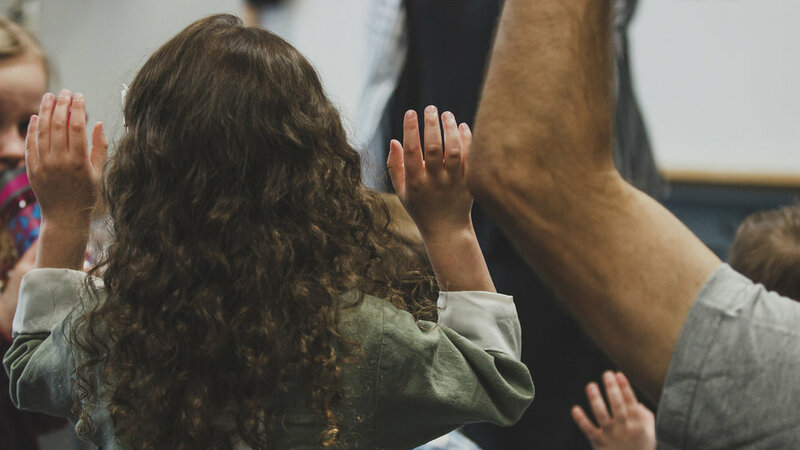 The last thing we want is to merely babysit your child while you attend worship. 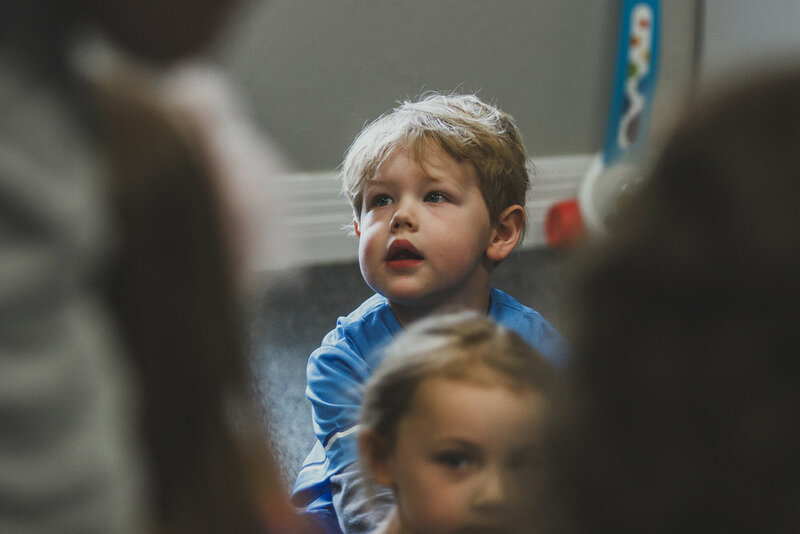 With that in mind, we intentionally utilize and develop lessons that are age appropriate and strive to teach our children who Jesus is and what he has done for them in the gospel. 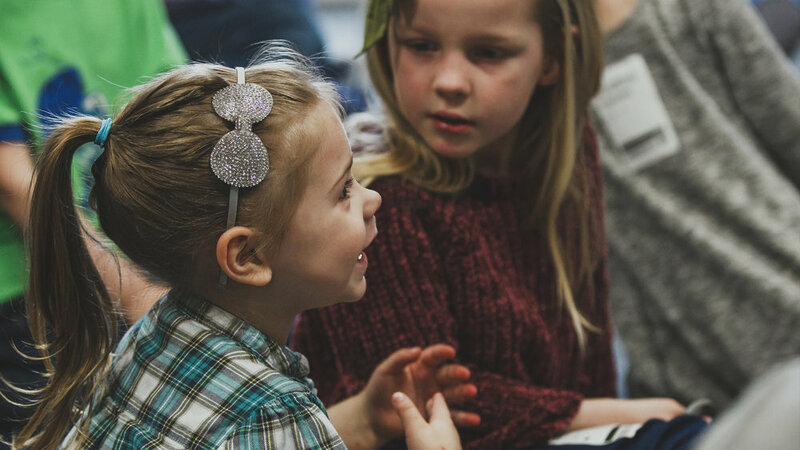 It is our desire to utilize imaginative, creative, and fun ways to teach the gospel to our children. 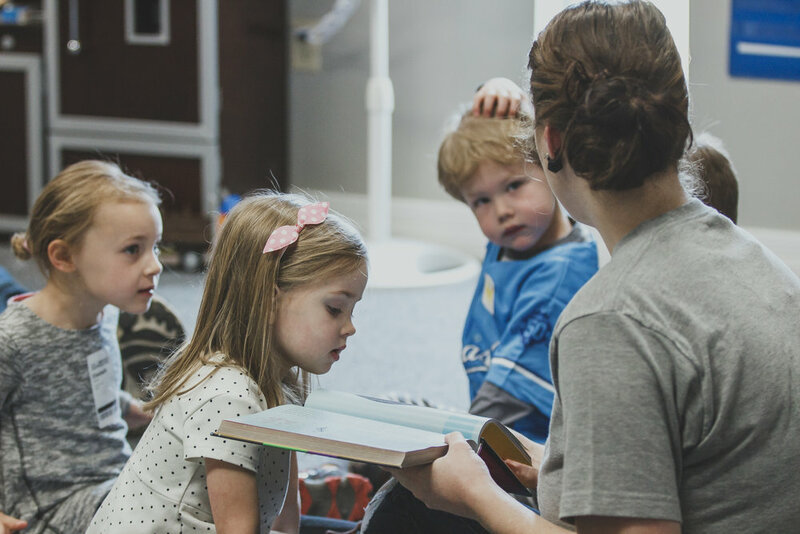 In order to accomplish this, we strive to use activities and lessons that reinforce biblical teaching in a way that is relevant and motivating for our children so they are encouraged to learn. When you arrive at church, we will have a Little Metro check-in desk available. Here you will register your child and print out two labels. One will stick to your child's shirt, and you will keep the other as a receipt. This will allow you to pick up your child at the end of the service. If you have any trouble, any of our staff or volunteers can help you at the desk. Who is teaching my kids? We realize that trusting us with your child is a big step, so safety and security are a top priority in Little Metro. Your kids are being supervised and taught by Metro Church volunteers. All volunteers have a desire to serve with enthusiasm while providing a safe environment. All Little Metro workers have been carefully screened, pass a background check, and complete training. What are my kids doing? Worship: Children have the opportunity to sing and play instruments all for the glory of Jesus. Here, our volunteers teach our kids what it means to worship Jesus in song. Lesson: Every week the children have a story time based on a passage of the Bible. It is our goal to help your child see how Jesus is represented in all of the Bible, even in the Old Testament. We use this time to teach truth from the Bible that kids can immediately share with Mom and Dad on the way home. Snack (Toddlers Only): Each week, Toddlers have a short time to eat a snack. Please see “Will My Kids Eat Anything?” below for more information. Craft/Activity: Kids will create a craft or activity that corresponds with the Bible lesson. We want to help children express their creativity and imagination. 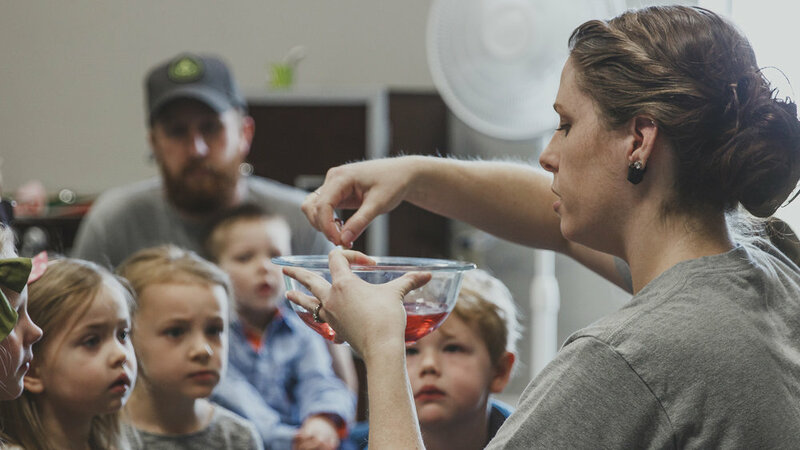 Hands-on crafts, acting out the story, and engaging in object lessons provide a unique time where kids can interact and see the Bible lesson from another angle. In case of an emergency, how will I be notified? When you register your child, two labels are printed. The first label is a sticker to attach to your child’s back and it shows their name, age, and any important note (e.g., food allergy). The second label is a receipt for you to keep for two reasons. 1) you will show this label to pick up your child after the service, and 2) in case of an emergency, a code will be displayed on the screens in the sanctuary. This code corresponds to the code that you can find on the label you kept at the time of check-in. A Little Metro volunteer will meet you in the lobby with further instructions. Will my kids eat anything? Every week, the Toddler Class in Little Metro have the opportunity to enjoy a light snack. This consists of a small number of animal crackers or goldfish and a cup of water. If a special snack is being offered in your child’s class, teachers will get approval from parents during drop-off. Babies in the nursery are not given a snack, unless provided by the parents with instructions to feed them. **If your child has a food allergy and that was not included on their name tag during the check-in process, please notify a Little Metro worker immediately. Where do I go after the service to pick up my kids? Pick up your children in the same room(s) where you dropped them off. You must show the receipt (that printed at check-in) in order to pick up your child.